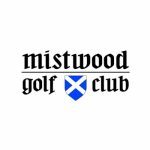 Chicago, IL — Mistwood Golf Club, one of the nation’s premiere public courses located in Chicago, has hosted a hyper-patriotic “Stars & Stripes” tournament on the 4th of July for 20 years. The event features costumed golfers, fireworks and otherwise zany entertainment on most holes all in the spirit of celebration for America’s birthday. This year, however, the course management will up the ante by seeking to reclaim a Guinness Book of World Records feat: the longest continuous line of cooked hot dogs, a record which currently stands at 1157 feet and is held by Nakakyushu Kubota of Japan. Mistwood will partner with Vienna Beef on the world record attempt as the Chicago-based company celebrates its 125th anniversary and the kick-off to national hot dog month (July). NOTE: For media unable to attend the event, high-resolution photography and video will be available immediately following the event. Mistwood Golf Club, which opened in 1998, is one of the most-talked-about Chicago area golf destinations. It features 18-holes designed by award-winning architect Raymond Hearn, a top golf performance center and a spectacular clubhouse facility. Following an acclaimed multi-million-dollar course renovation by Hearn, which was recognized as the top renovation of the year by GOLF Magazine in 2014, Mistwood has become one of the most popular venues in Chicago.